First book in a new series from a completely new publisher, Pacific Press. 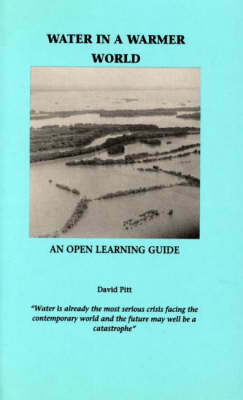 Of all the crises facing the contemporary world, water is the most serious. Pollution has enhanced natural increases in global warming which is leading to both desertification and flooding as weather becomes more unstable, as well as poisoning scarce water supplies, which then leads to major health and environmental problems. Water is everywhere wasted whether in agriculture, irrigation, domestic, or industrial use. This timely book reviews likely future scenarios and looks at possible solutions including reforestation, watershed and waste management, appropriate technology, new laws, and community level initiatives.